It’s with great sadness that next week I will be turning another year older. Mentally I still feel like I’m 21 however the thought of coming to the end of my 20’s in a two years absolutely frightens me. However with that said, I’m looking forward to heading to the nearest bar and indulging in some Prosecco, cocktails and vodka (somewhat carefully of course). I will prove to myself that I can still party like it’s 1999 and I’m blocking out the next day hangover. 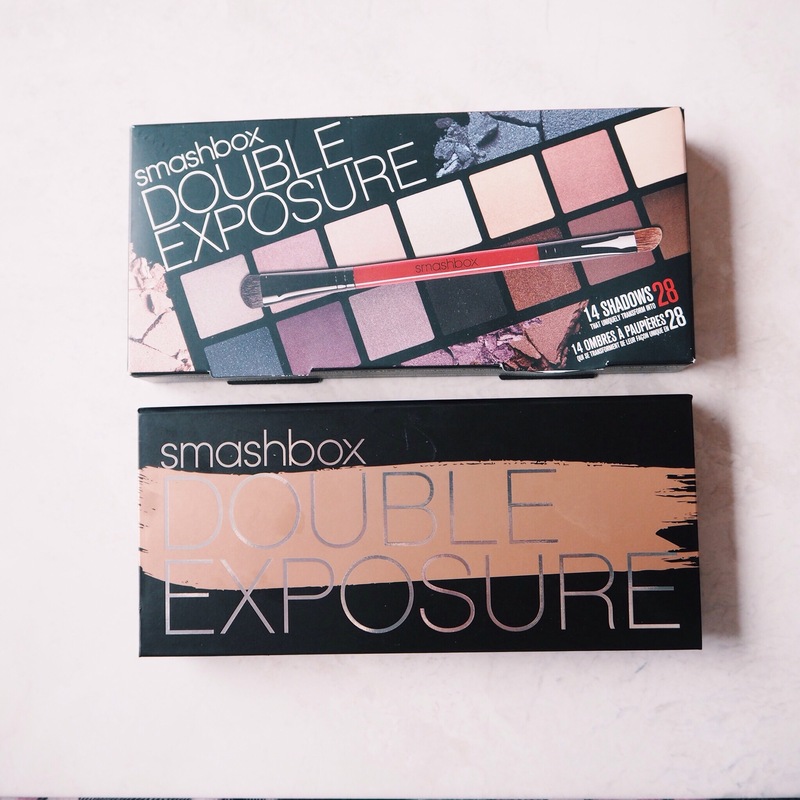 With a night out comes the pre makeup prep and I’m beyond excited to give my new Smashbox Double Exposure palette a go. 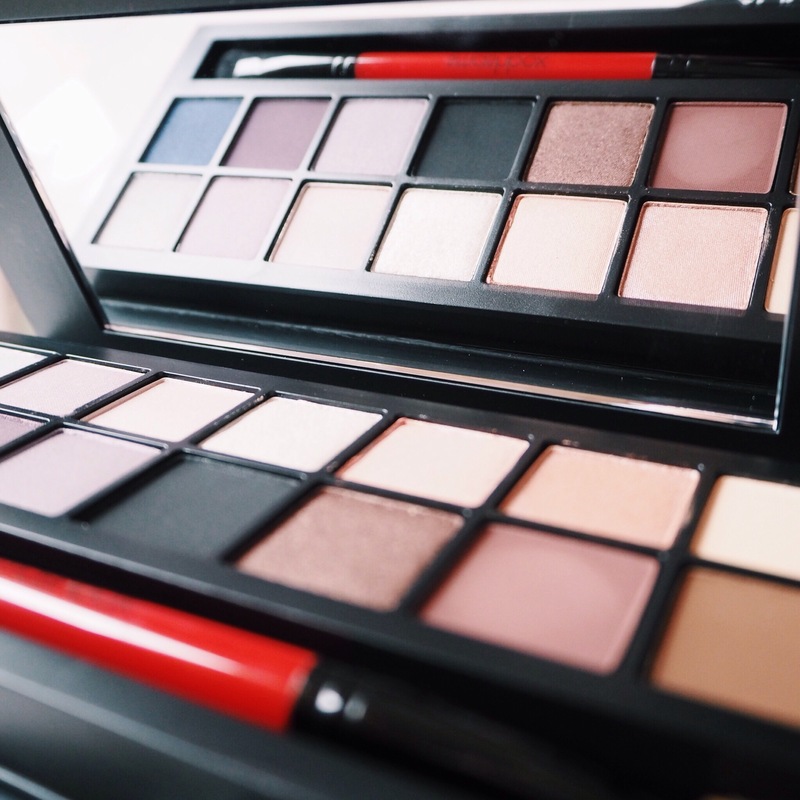 I’m very much a warm toned girl when it comes to my shadows however after seeing this gorgeous collection with some cool purple shades incorporated in it, I was intrigued. Even though I’m pretty confident with creating looks on myself, I always enjoy it when brands include a mini guide. I find there are times when I wouldn’t have thought of creating a certain look or using a specific technique. Another useful little bonus when buying a palette is the handy brush that often comes with it. 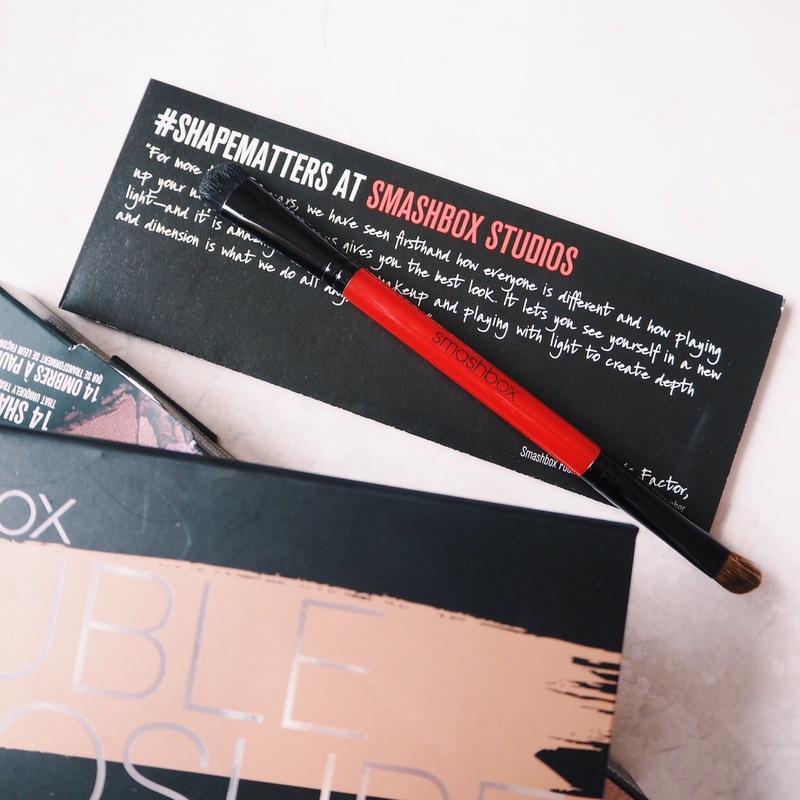 A doubled ended soft bristle brush is included with the palette to allow you to use the shadows for all over blending or a cut crease look. The large mirror makes it the perfect travel companion as we all know the tiny hand held rascals just don’t cut it for creating detailed looks. 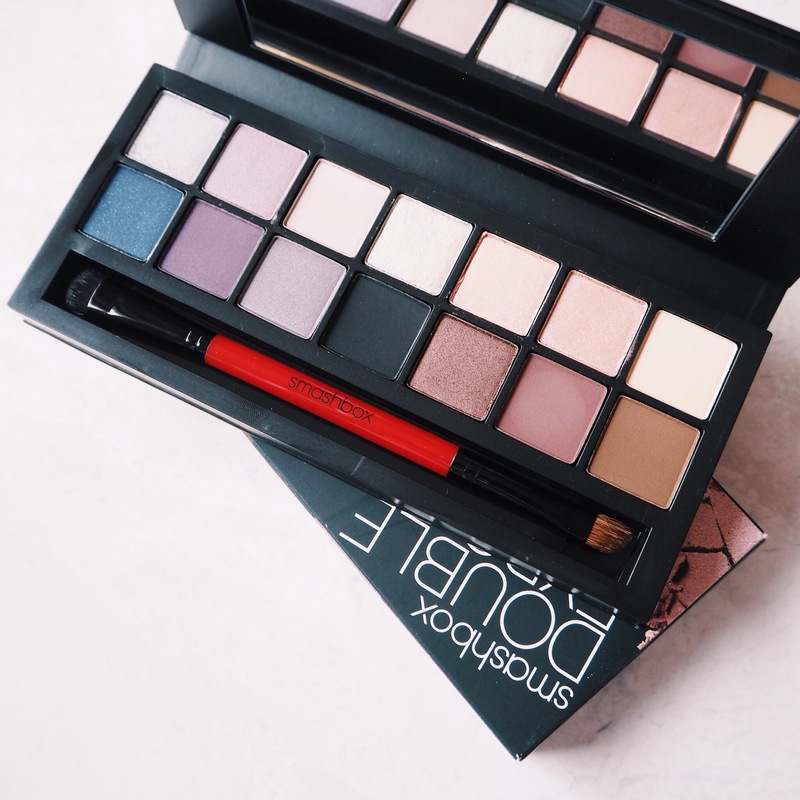 When I first read that the 14 eyeshadow palette actually doubles into 28, I was very much excited (above swatches of my favourite four without water effect). 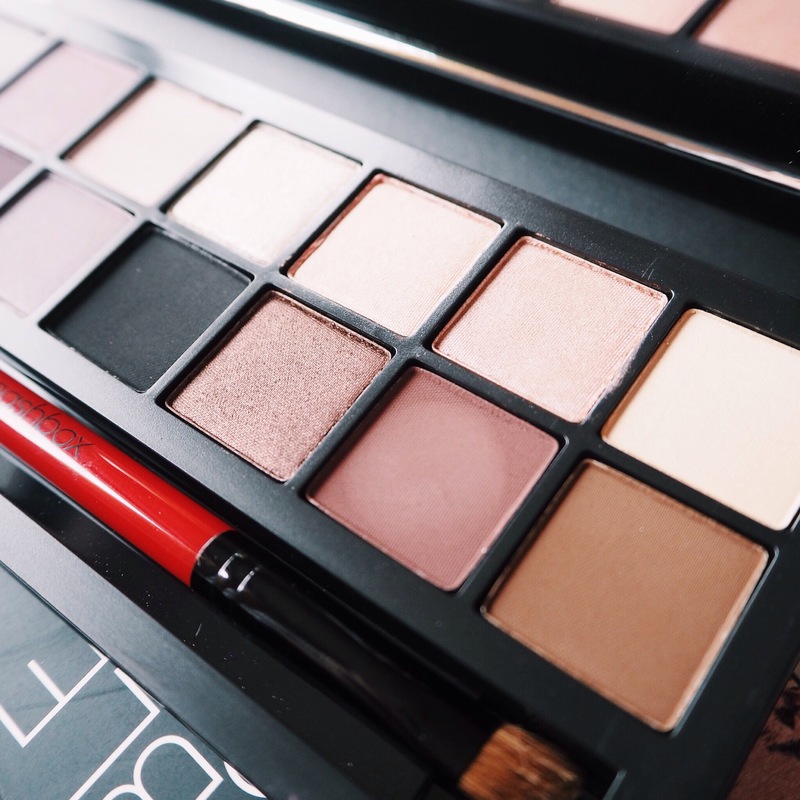 I’m forever spritzing most of my shadows with some MAC Fix +. 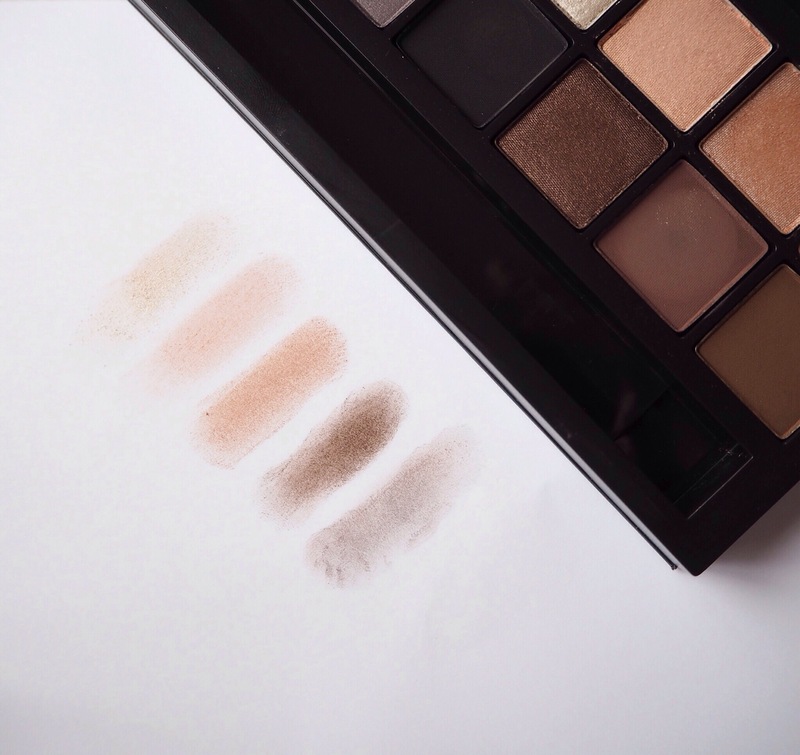 With some water, the eyeshadows can create a variety of styles suited to the look you are going for and they won’t glaze over when dried. If you’re opting for the water idea then once you’ve wet your brush be sure to wipe off any access first on the back of your hand or tissue. 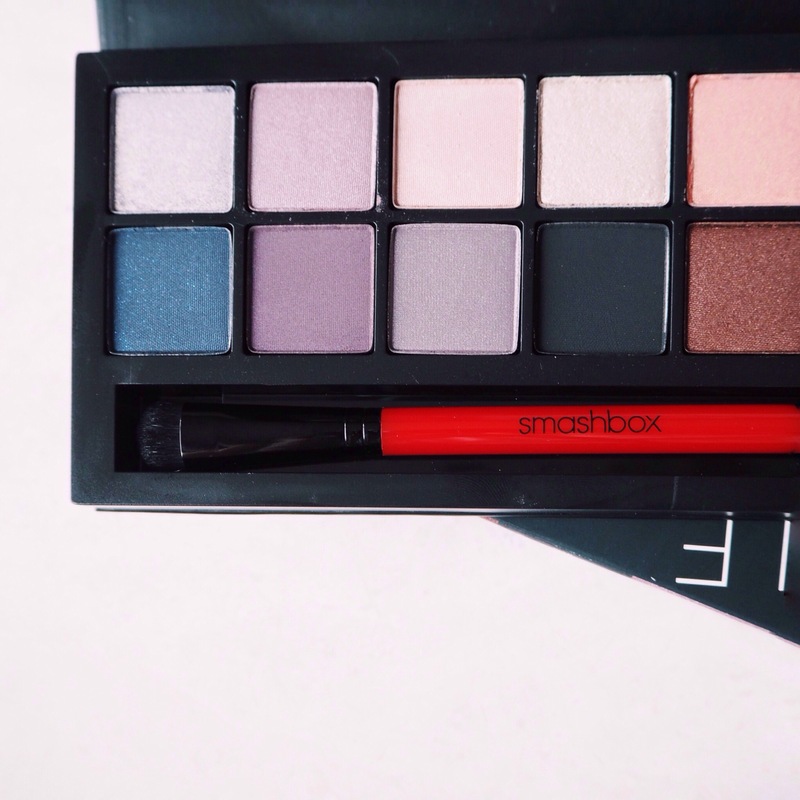 Given that I’ll be using this palette for my birthday celebrations I want to work with a warm smoky eye and a vibrant pop of colour. I’m hoping to create a halo effect style so the fact that it can be doubled up to create multiple designs is amazing. I’m wanting to branch out from only using warm tones so I think I’ll experiment with the pretty purple cool shadows and create a soft and subtle day time look. It’ll take me a while to get use to wearing these kind of colours but I’m always up for a challenge! I’m currently on my way down to my favourite place, County Kerry. It’s my second home and I’m looking forward to walks on the beach, relaxing by an open fire and indulging the odd pint of Guinness (or four). Haha. I’ll hopefully take some photos of my trip (weather permitting) so be sure to keep an eye out or you can follow me on Instagram for daily updates.